Sometimes I feel that the true worth of a teacher is measured by how restrained they are on their worst days. All teachers have days where they are struggling to control their urge to explode at students or the class. But the best teachers find a way to stay calm and maintain a consistency in mood. I’m not sure this teacher acts like this on a regular basis, and I don’t really like her belittling tone or the employment of a “calm down chair” (a chair I recommend her use for herself), but if her worth was measured by this episode, I wouldn’t have thought she’d have scored very highly. Hopefully she can use this experience to help motivate herself to be much better on a bad day. Come prepared – Prepare for everything that could happen, from defending criticisms to bringing typed lists and evidence of your achievements. Look Those Assessing You in the Eye – Project confidence at all times. Listen – Don’t argue whilst being criticised, it never works. Simply listen, take notes and have your say later. Let them feel “talked out” before you respond. Don’t Just Defend – Come in with something you want from them. Something like better condition, pay or responsibility. As you stand in front of your appraising tutor at your first PGCE observation, you’ll no doubt be feeling anxious. But remember; they’ll have seen hundreds of these lessons and witnessed every type of disaster – which means they’ll rarely be surprised or shocked. Unlike Ofsted, which makes summative judgements, your tutor is looking for good work to build on. The next thing to consider is the content of the lesson. “Avoid an all-singing, all-dancing lesson – this isn’t a reflection of where you really are as a teacher,” advises Sarri. The technology is bound to fail on the day anyway. Birrell’s advice is to “think of a small thing to do, and then make it a bit smaller”. Don’t avoid risk altogether – just confine that ambition to choosing an edgy or original lesson topic. Some basic rules also apply. Don’t start an entirely new subject, and have resources and spare copies of your lesson plan ready – which you should also share with your support staff. Birrell advises against setting lesson objectives that are too vast; students won’t be able to understand the causes of the second world war in 45 minutes. A common mistake made by new teachers, according to Birrell, is to plan a lesson aimed at keeping the kids busy. They might all be engaged, but if you can’t identify the learning taking place, the tutor will notice. 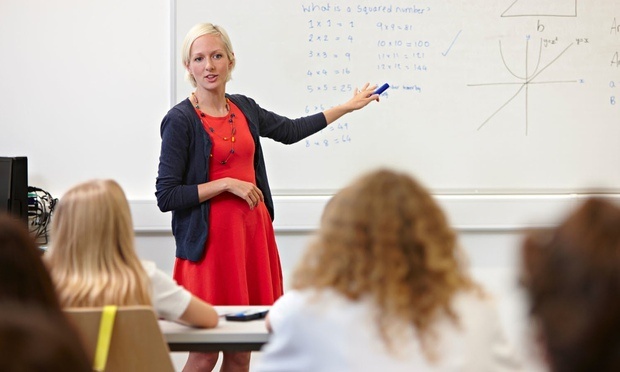 Rhiannon Rees, also a newly-qualified teacher, recalls a maths lesson in which physical activities and a hot classroom threw her plans into disarray. Then you’ll be able to show that you know what went wrong – demonstrating that you’re on the road to becoming a self-reflective professional. We can’t pretend that receiving feedback is always fun. Sometimes class teachers lack the ability to make supportive and productive comments to fellow adults. “They can speak to trainees in a way they’d never dare to talk to children,” says Sarri. Birrell suggests one reason for this potential source of conflict with class teachers. As part of a target-driven system, they’re often anxious about handing over their responsibilities to a trainee, fearful that children will fall behind academically in the hands of a novice. Be honest and non-defensive when you hear something tough from an observer. “There’s probably a reason, and in your next observation, you get a chance to prove you can change,” says Birrell. Rees recommends a gracious smile and taking on board the advice you get. Observations also remind you of what you’re doing well, says Sarri. Training provides an opportunity to explore your personal teaching style – before you’re subsumed into a school with its own version of “what works”. Remember that, ultimately, it’s the children who count. You may think you’ve aced an observation or crashed out in the first five minutes. But going forward you’ll be learning from the children – the sharpest tools in the box. Students grading their teacher on the quality of their lessons? What will they think of next? Surely that is merely asking for trouble. It puts the teacher in an impossible position where they may feel they have to pander to their students and disregard blatant misbehaviour in order to keep them on side lest they be graded poorly. Richard Cairns, Head Master of Brighton College is calling on the Government to make it compulsory for students to play a part in assessing the performance of teachers. 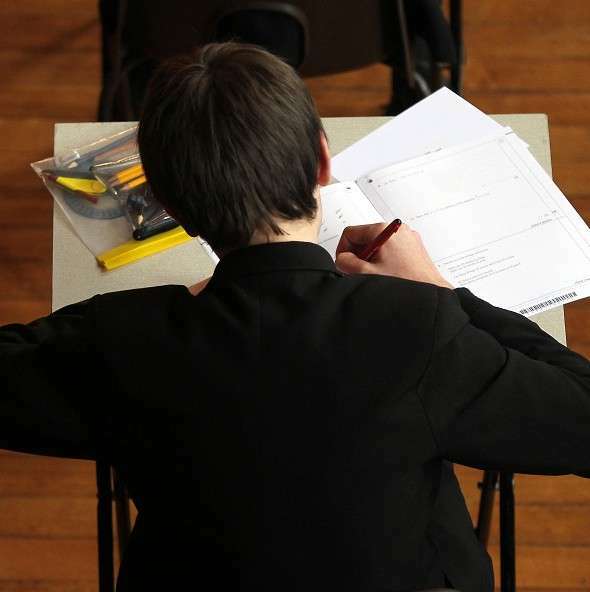 The move would help school leaders deal with under-performance in the classroom, he suggested. In a speech to the Headmasters and Headmistresses’ Conference (HMC) annual meeting today, Mr Cairns will say that he has introduced such a system at his own school. Pupils at Brighton College are asked to fill in an online questionnaire about each of their teachers. The form includes 22 statements or questions such as “my teacher sets clear expectations for my studies and the quality of my work”, “my teacher caters for my learning style and my ability level” and “my teacher is passionate about his subject”. Students are asked to give a grade for each statement or question ranging from one, which is positive, to five, which is negative. They can also add their own comments. It is thought to be the first time that students have been asked to help appraise their teachers in this systematic way. The findings are collected and used as part of a teacher’s appraisal, Mr Cairns says. Lesson observation is a “seriously flawed approach”, Mr Cairns argued, while exams results can say more about the culture of a school than how effective an individual teacher is. Pupil appraisals are the only objective way of both praising good teachers and being able to have serious conversations with those that are not doing well, he suggested. Mr Cairns said he is calling on the Government to make such a system compulsory in all schools “in order to help Heads deal quickly with underperforming teachers and also to provide positive, objective feedback for the best teachers which will aid retention and maintain enthusiasm”. He added: “We have put a lot of money into school inspection and we are very concerned about standards in schools but the key consumers – the pupils – are not consulted. That strikes me as crazy. “We’ve got to get over this issue that young people might abuse such a system. Mr Cairns said a similar system has been introduced at the London Academy of Excellence – a new state- funded sixth form in east London – which is co-sponsored by Brighton College. Click on the link to read Could This be the Most Violent High School Test Question Ever? Tim Day of the New Teacher Project is spot on. 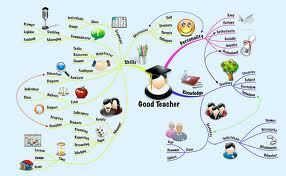 How can you evaluate teachers when you haven’t properly defined what a good teacher is? “Everyone around teachers has failed them – the colleges, the administrators and the foundations,” said Tim Day of the New Teacher Project, offering what was likely the second-most provocative comment of my recent conference. The group believes that teacher quality is key to student success, but districts treat all teachers the same – as interchangeable parts, rather than as professionals. The problem is that it is difficult for principals to know exactly what happens when classroom doors close, and all the panelists seem to believe that what’s considered the easiest way to measure student growth – test scores – should be only one part of an evaluation. In my view teachers should be evaluated, but one needs to know what they are looking for in a teacher so they can properly evaluate against it. Similarly, since teachers aren’t the only element in a functioning education system, other areas need to be evaluated. Principals, administrators, schools (ie, school culture) and even those politicians entrusted with funding the schools should undergo evaluations too. Leaving the teacher alone in the dark is not going to achieve anything. Education is a team effort and currently the team is letting the teachers down.